Category Archives: I am shocked shocked etc. Human rights talks with Duterte aren’t “cordial”, Justin. Prime Minister Justin Trudeau delivered a sales pitch to core members of the Association of Southeast Asian Nations on Tuesday in hope they will open the door to Canada joining their exclusive and influential circle. But I thought that Canada was back. Philippine President Rodrigo Duterte said he was angered and insulted on Tuesday by Canadian Prime Minister Justin Trudeau’s comments about the Philippine government’s war on drugs, which has earned widespread condemnation for leaving thousands of suspects dead. Trudeau said he raised concerns about human rights abuses and extrajudicial killings in Duterte’s anti-drug campaign when he met Tuesday with the president ahead of Canada’s summit in the Philippines with the 10-member Association of Southeast Asian Nations. Trudeau was the first leader of the 20 attending this week’s ASEAN summit and related meetings who has publicly said he brought up the touchy issue with the volatile Filipino leader. He said Duterte was receptive to his comments and their exchange was cordial and positive. But Duterte later told reporters that he had refused to provide an explanation for the killings. What? Duterte refused to be swayed by the Fils? Well, I am shocked, ect. The IAAF has requested assistance from the Chinese Athletics Association with an investigation into a letter alleging state-backed doping in Chinese athletics. Website Tencent on Wednesday reported that Chinese 3,000 and 10,000 metres world-record holder Wang Junxia admitted to being forced into doping almost 21 years ago. A letter dating back to 1995 was said to have been written by Wang, who smashed the world records in 1993, and signed by nine of her team-mates claiming they were forced into taking “large doses of illegal drugs over the years”. My heart just aches at the tragedy of this young woman’s life. Ontario’s new Financial Accountability Officer Stephen LeClair says his trust has in the Liberal government has already been “damaged” after his inaugural report was leaked to the media in advance of his release. Set up in 2013, the Financial Accountability Office “provides independent analysis on the state of the Province’s finances, trends in the provincial economy and related matters important to the Legislative Assembly of Ontario.” It is similar to the Parliamentary Budget Office in Ottawa. LeClair released his first report on Thursday, which examined the costs associated with the planned sell-off of 60 per cent of Hydro One. The document said the sell-off could, over the long run, cost the provincial treasury up to $500 million a year, make it harder to balance the books and subsequently increase its debt. But subscribers to one municipal daily already knew that — the report was leaked in full to a major newspaper and its contents published in Thursday’s paper. Both opposition parties were disappointed in the leak and say they are looking into whether it can be formally investigated or is a breach of their parliamentary privilege. Former Liberal prime minister Jean Chretien says he hopes Justin Trudeau will engage in a dialogue with a variety of international leaders, including Russian President Vladimir Putin. 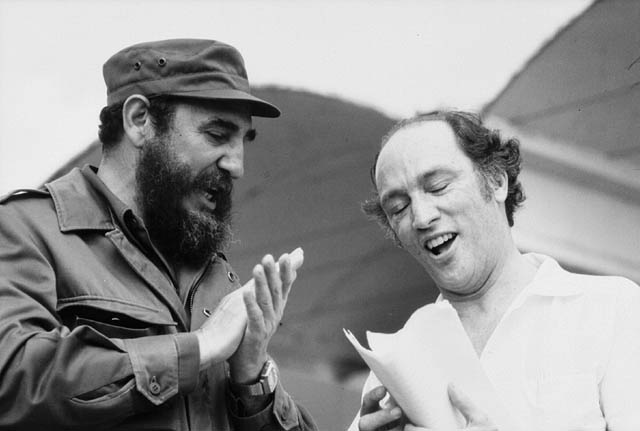 During an interview with CTV’s Question Period, Chretien suggested the incoming prime minister’s father, Pierre Elliott Trudeau, maintained an open approach when speaking to world leaders including Cuba’s Fidel Castro. “Mr. Trudeau could talk to anybody because he kept his independence,” he said. 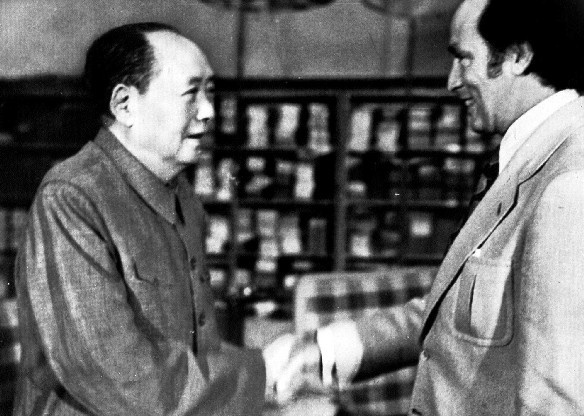 Bernard Isautier, chief executive of Calgary-based PetroKazakhstan Inc., has publicly credited Mr. Chrétien, “because of his name,” for landing the company high-level meetings in China and Iran last June to discuss oil-transportation problems. In imploring U.S. lawmakers to show compassion to refugees, Pope Francis once again acknowledged the brutal treatment of the Indigenous peoples in the settlement of North America. But the Catholic pontiff did not agree to a request from Canadian and American native leaders to meet during Francis’s first visit to the United States this week. And he proceeded to canonize a Catholic missionary whose elevation to sainthood was strongly opposed by many First Nations. The ever-aggrieved are never happy. What’s The Difference Between Vince Foster and Hillary’s E-Mail Server? Hillary’s E-Mail server can rise from the dead to torment its own killer! Iran has discovered an unexpectedly high reserve of uranium and will soon begin extracting the radioactive element at a new mine, the head of Iran’s Atomic Energy Organization said on Saturday. The comments cast doubt on previous assessments from some Western analysts who said the country had a low supply and sooner or later would need to import uranium, the raw material needed for its nuclear program. Any indication Iran could become more self-sufficient will be closely watched by world powers, which reached a landmark deal with Tehran in July over its program. They had feared the nuclear activities were aimed at acquiring the capability to produce atomic weapons – something denied by Tehran. “I cannot announce (the level of) Iran’s uranium mine reserves. The important thing is that before aerial prospecting for uranium ores we were not too optimistic, but the new discoveries have made us confident about our reserves,” Iranian nuclear chief Ali Akbar Salehi was quoted as saying by state news agency IRNA. Shocked Cat did not see this coming. An Iraqi woman who was on the same boat as Alan Kurdi, the boy whose body washed up on a Turkish beach last week, says his father was in charge of the boat that capsized, drowning many of the migrants on board. The woman, Zainab Abbas, lost two of her own children on the fateful crossing, and is now back in Iraq. She told Channel Ten news in Australia in an interview that Abdullah Kurdi was driving the boat. She also accused him of being part of a ring of smugglers who help refugees make their way to Europe. “He was a smuggler, yes. He was the one that was driving the boat,” the woman told the channel through a translator, according to Australia’s Daily Telegraph. Abdullah Kurdi lost both his sons and his wife on the crossing and has repeatedly said he only took over steering the boat when the captain abandoned ship in rough waters. President Obama on Thursday addressed the horrific massacre of nine people in a Charleston, South Carolina church–and then boarded Air Force One to California for a series of high-dollar fundraisers to benefit the Democrat party. RCMP in Winnipeg have raided the home of an ISIS supporter known by the alias Harun Abdurahman and seized what’s believed to be computer equipment. Neighbours say undercover officers have been watching the home in the city’s southwestern neighbourhood of Charleswood for months. RCMP took out garbage bags containing what appeared to be computer towers. It’s unknown if Abdurahman has been arrested. Richard Reeves, a co-author of the study, told the Atlantic: “I think that the evidence is . . . that it’s access to effective and safe forms of contraception and abortion” that will bring down unwanted-pregnancy rates among the poor. In fact, it’s not that hard to get contraception; and the barriers have fallen dramatically in recent years. Condoms are readily available. And, as of two years ago, almost all insurance policies — including the ObamaCare exchanges — cover the pill at no out-of-pocket cost. And it’s not just the financial barriers that have come down. Women no longer have to get a pelvic exam to get a prescription for the pill, either. Yet there’s no evidence of an increase in the use of the pill since these changes were enacted. …if we’re being honest, it’s not economics standing in the way of low-income women using the pill. (Reuters) – Danish officials will travel to Turkey to establish the fate of a wanted Danish man whose family says is missing from Turkish custody, the foreign minister said, before criticising the Turkish authorities for being unresponsive on the case. The man, who is known in Denmark only by the initials BH, is wanted by Danish police for the attempted murder in Copenhagen in February 2013 of newspaper columnist and outspoken critic of Islam, Lars Hedegaard. Police say BH, a Danish citizen with Lebanese roots, fled Denmark on the day of the shooting and spent time in Syria, before being arrested in Turkey in April 2014. Last week, his family told police the man was no longer in Turkish custody. Danish officials have since been trying unsuccessfully to obtain information on his whereabouts from their Turkish counterparts. “We are now sending a delegation of government officials to Turkey to communicate with the Turkish intelligence service,” Foreign Minister Martin Lidegaard told a parliamentary committee questioning him on the issue on Thursday. Several publishers from Arab countries displayed books featuring anti-Semitic content, Holocaust denial, and terror glorification, at the Frankfurt Book Fair last week, an annual report from the Simon Weisenthal Center said. Turkey, however, “for the 3rd year, remained hate-free,” Dr. Shimon Samuels, director for international relations of the organization’s Paris branch, said in a statement.